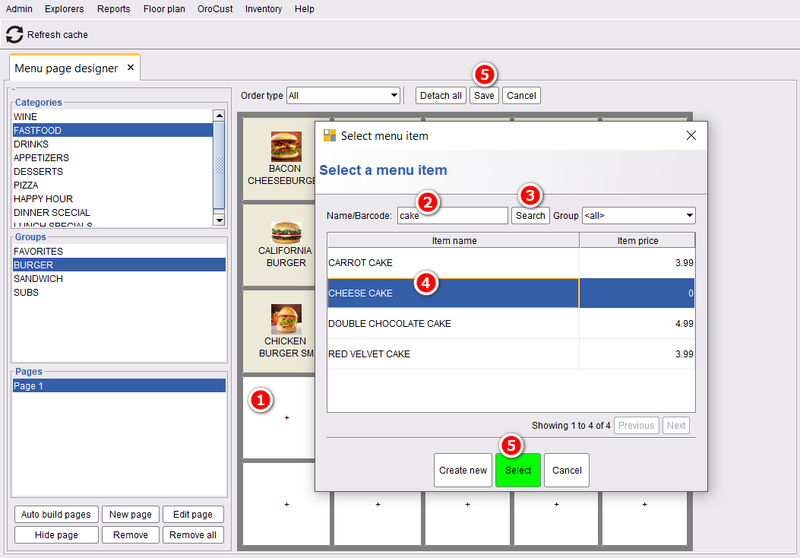 Customize your menu pages based on your business requirements. 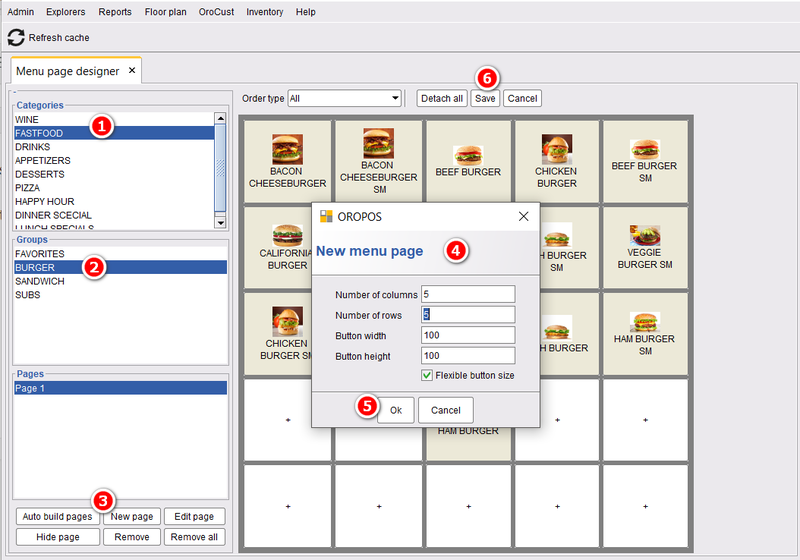 After making or importing menu categories, groups and menu items to your ORO POS, you can simply add your preferred menu items to your menu pages. However, the auto-build menu page will build menu pages with the menu items related to the menu groups and categories automatically. Drag and drop menu items in this menu page to organize the menu items on a menu page. Add menu items in the empty fields by clicking on the “+” sign. 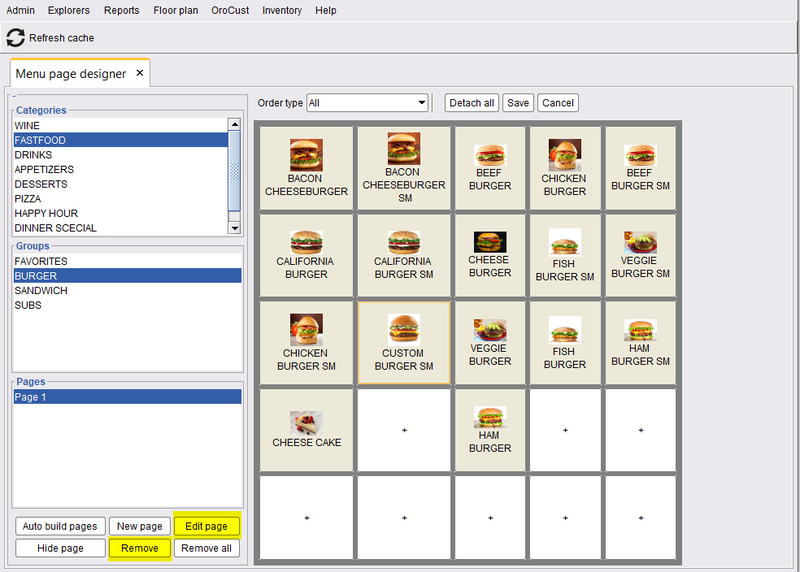 Detach, edit, replace a menu item by clicking on the item and selecting the option required. 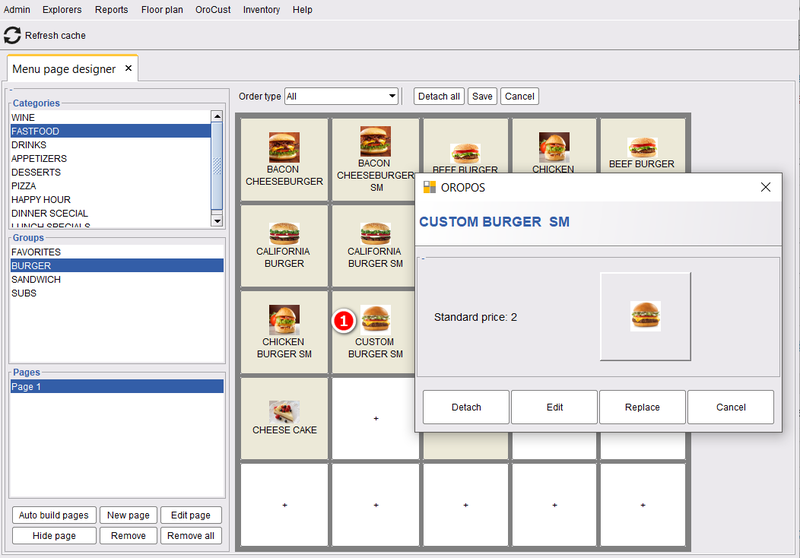 Another useful feature of menu mange designer is, one can set menu pages based on order types. After adding modifier groups and modifiers, you can easily design the modifier page for every menu items. Like a normal menu page, in modifiers page, new modifiers can be added, drag and drop to customize the page, detach, replace, etc. “Minimum quantity” will allow a user to select the minimum quantity of the modifier from that section. For instance, if there is a minimum quantity of 1, a customer must have to choose at least one modifier from that modifier group. “Maximum quantity” restricts taking the modifiers not more then the limit within the modifier group. “Jump to next group” makes going to the next group automatically after choosing the maximum amount of modifiers of a group. “Auto show” allows showing the modifiers right after clicking the menu items from the menu pages. 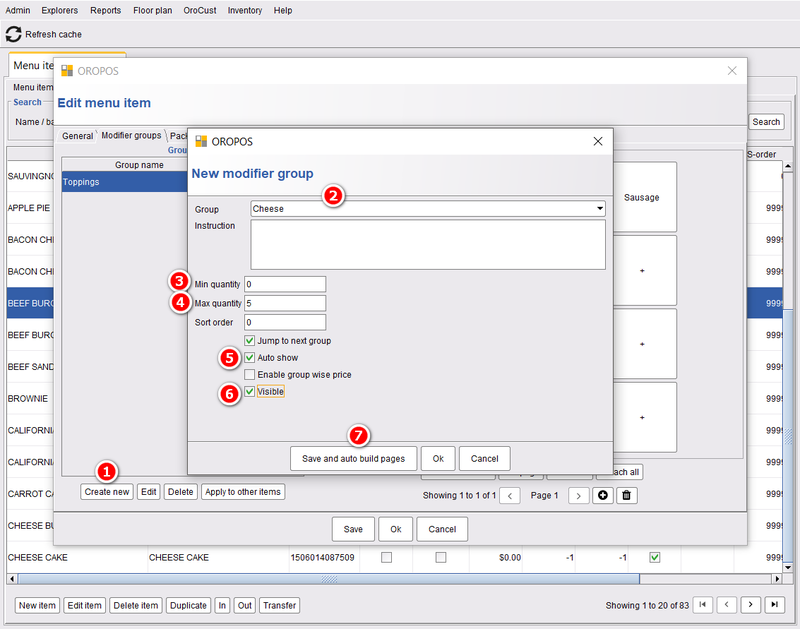 “Enable Groupwise price” enables new price rules for the modifier groups beside its own prices mentioned while creating them. “Visible” will make the modifiers visible. “Save and auto build page” will make the page automatically.